Just in time for Christmas. 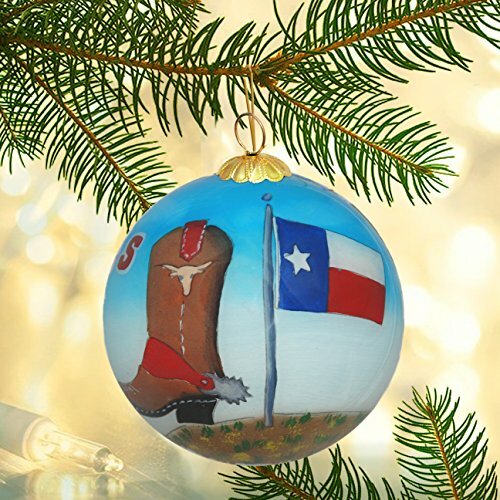 Beautiful hand blown and hand painted glass ornament with classic Texas State icons. Each ornament takes approximately two days to complete and are meticulously hand painted from the inside. This is a true one of a kind keepsake your family will cherish for generations. Arrives in a padded square felt gift box that’s useful for gift giving and safe storage.